A new house, an inverter for electricity and a scooty are the material things Sushil Kumar has acquired from his prize money. But what he misses most is his cycle. 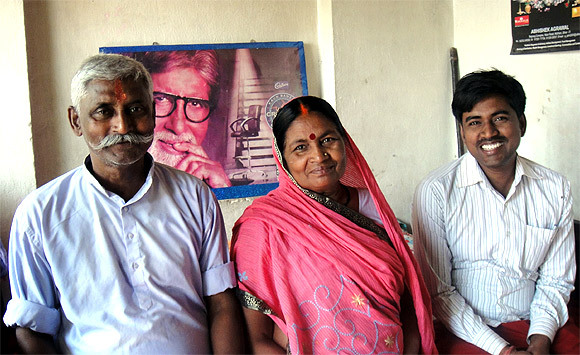 Archana Masih meets the first winner of Rs 5 crores on KBC at his home in Motihari, North Bihar. 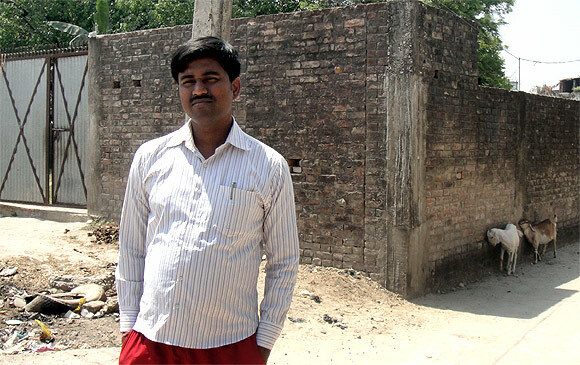 "I can show you the way to Sushil Kumar's home," says Aditya Ashok, whom I met in Motihari, North Bihar, and had marveled that he lives in the same house where Eric Blair -- later renowned as the author of Animal Farm and 1984, George Orwell -- was born on June 25, 1903. On a hot April morning, Ashok leads the way on his motorbike through the streets and by-lanes of the district headquarters of East Champaran, where Mohandas Gandhi had arrived in 1917 to begin his first act of non violent defiance of the British when he campaigned against the excesses of indigo cultivation. At the beginning of a concrete lane, a small girl points to a house as Aditya gestures us in and drives off. At the door, in a vest, track-pants and a rudraksh necklace, stands the first Rs 5 crore (Rs 50 million) winner of the game show Kaun Banega Crorepati. The amount was reduced to Rs 3.5 crores (rs 35 million) after income tax deduction. Two years after the data entry operator in NREGA, the Union government's most ambitious social welfare programme, won the grand prize money like none before him, Sushil Kumar has left that Rs 6,000 job he held for five years and spends his time doing what he likes best -- reading. He is currently reading no slight book, but a three volume collection of Leo Tolstoy's selected works, and has spent the last month learning Urdu. "I can read Urdu newspapers now. My Urdu teacher did not take kindly to me being absent. He did not know till a friend told him that since I was the KBC winner I had to travel sometimes because people invite me," he says, sitting in the rented house he shares with his wife, infant child, parents, five brothers and two sisters-in-law. "Where was the need to tell him that I was the KBC winner? I just wanted to be like any other of his students." When I tell the driver of the car who has brought me that Sushil Kumar is learning Urdu, he exclaims in disbelief, "Hindu ho kar, Urdu padh raha hai! (He's learning Urdu despite being a Hindu!)" Over a cup of tea, by a small hibiscus tree in the small courtyard, Sushil Kumar tells me about life after winning Rs 5 crores and says he wants to learn painting, but is concerned about not having a regular job. "I want to be a lecturer. I like psychology," says the 31-year-old, "This money will not last forever, that is why I have curtailed my needs. I feel apprehensive about the future without a job." He appeared for the civil services entrance exam shortly after his win, but did not qualify which he attributes to lack in preparation due to public engagements. In neighbouring Bettiah, people refer to him as 'coreria' for the crores he has won and he says the KBC triumph has brought him more fame than he deserves or expects. "It elevated me in society. I jumped up the social ladder, I was able to meet high officials. Without KBC, this was not possible." 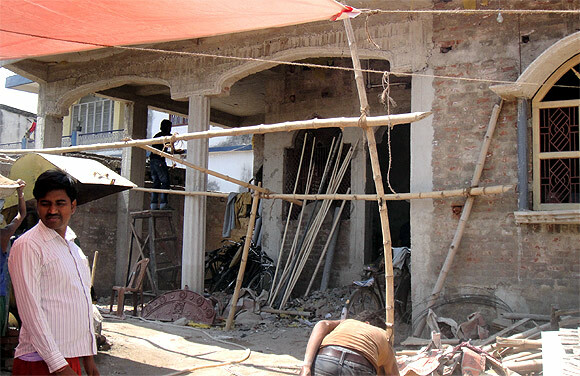 Coming up, a short distance from the rented house, is the biggest monument to Sushil Kumar's victory -- a large home that is under construction, for which the house warming ceremony has been planned for May 22, a day after Sushil's second wedding anniversary. The house, he says, is in his mother's name. His room in the house is not the largest, but is endowed with a luxury that he has not had before -- a room of his own with an attached bathroom. It is the only room with an attached bath in the house. He shows me through the house, showing the puja room, his parents' rooms, the library he plans to build on the first floor and says the cost of building has exceeded his budget. "It has cost me around one crore (Rs 10 million), including the land. The cost of building material has really gone up recently." He says he could have moved to Mumbai or Delhi after the win and perhaps found a job, but decided against it because he did not want to move away from the family. Sushil and his wife had their first child four months ago and she is away at her mother's home. The couple has not thought of a name for the newborn. "One should be with the family. My brothers have sacrificed a lot for me. When I was in school, they took small jobs, but let me be with my books and studies," he says as one of his brothers offers a glass of cola. "I will always be grateful to them." As we speak, his brothers pass by, while his parents sit on the verandah. Older brother Anil Kumar, who is a Life Insurance Corporation agent, says the label of being the KBC winner has been now attached to his own name. "He has brought us a lot of respect. People who did not meet us before, now come to our door," says Anil Kumar. There was a time, early on after Sushil Kumar's win, that people used to come to the house asking for loans from the prize money. He would also receive piles of letters with requests for money, urging him to spare a few odd lakh rupees. His brothers handled such itinerant visitors and I am told I was ushered in without any queries because they knew of my arrival beforehand. Sushil Kumar says the win has made him home-bound because people sometime make comments he does not like when he goes out. "There are some who are jealous and wonder how I could make all this possible," he adds. A large amount of the prize money has been put into a fixed deposit in his parents' name, he says. 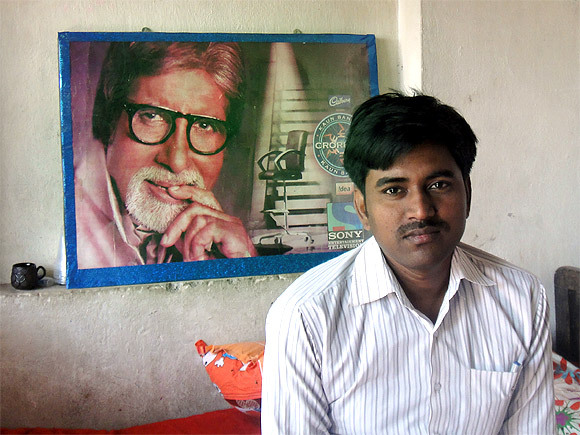 "The biggest difference in our lives is that we will soon have a home of our own," says his father, sitting alongside his wife with a poster of Amitabh Bachchan, the KBC host, on the wall. The new house, an inverter for electricity during the long power cuts and a scooty are the material things Sushil Kumar says he has acquired from his prize money. "Everything else remains the same," he says. When someone asks why he does not buy a car, he says he has no need for it. He loves to cycle which used to be his favourite mode of transport within the town, but he does not do that much now because of taunts that he was deliberately putting a show of humility by riding a cycle. "I bought a scooty then," he grins, "But how I miss my cycle rides!" PIX: Kaun Banega Crorepati contestant wins Rs 5 crore! KBC 5 winner Sushil Kumar getting death threats?